You are here: Home / The Fourth Law / What is The Fourth Law? What is The Fourth Law? 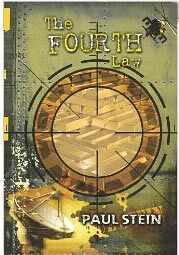 Since my novel: The Fourth Law was first published, many people have asked about the title, wondering if this is a legal book or a story about politics. Actually the Fourth Law is the about gravity, and the four fundamental forces of the universe. The other three forces are the Strong and Weak Nuclear Forces, and the Electromagnetic Force. All matter in nature is influenced by one of these forces, and physicists speculate that at one point in time—prior to the Big Bang—these four forces were combined into what is known as the Super Unified Theorem or SUT. But while we know a great deal about atomic energy, and power our homes and cities with the use of electromagnetism, gravity still eludes our understanding. All we know for certain is of Gravity’s profound influence in the universe. The four fundamental forces all play central roles in making the Universe what it is today, but with respect to the large-scale issues that are of interest to cosmology it is gravitation that is most important. This is because of two of its basic properties that set it apart from the other forces: (1) it is extremely long-ranged and thus can act over vast cosmological distances, and (2) it always supplies an attractive force between any two pieces of matter in the Universe, no matter how far apart. Thus, although gravitation is extremely weak compared to the other forces, it always wins over cosmological distances and therefore is the most important force for the understanding of the large scale structure and evolution of the Universe. I would be very much interested in hearing your feedback on the subject of Gravity and the Super Unified Theorem.